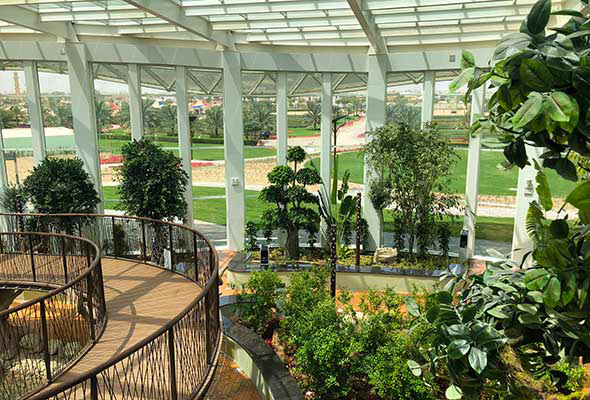 Quranic Park is a brand new Dubai attraction now welcoming visitors. 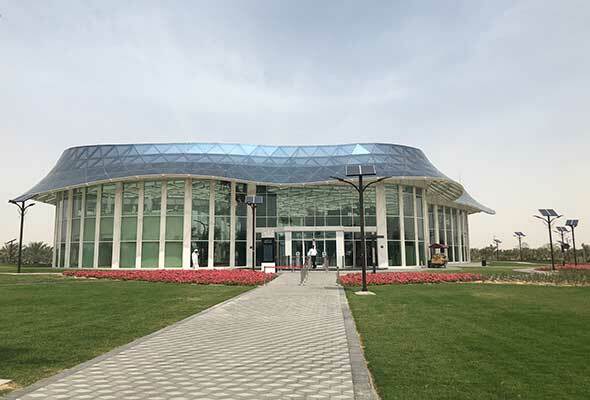 Located in Al Khawaneej, the Quranic Park is designed to give a better cultural and educational understanding of the Islamic heritage, while still being a fun place to visit for children, families and those looking to learn more about the Holy Quran. 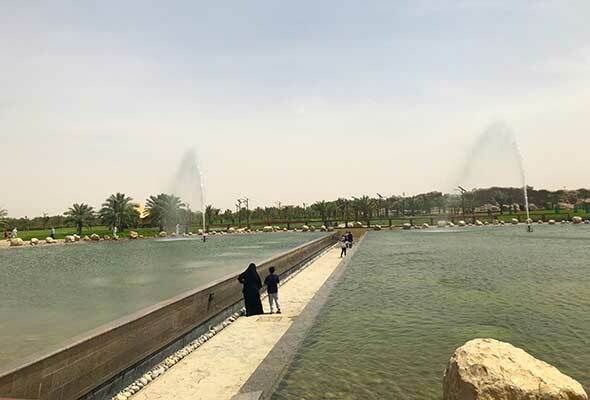 The park that spans over of 60-hectares, but it has two main attractions within the space that offers visitors a brilliant, intelligent insight into the several areas of the Holy Quran. 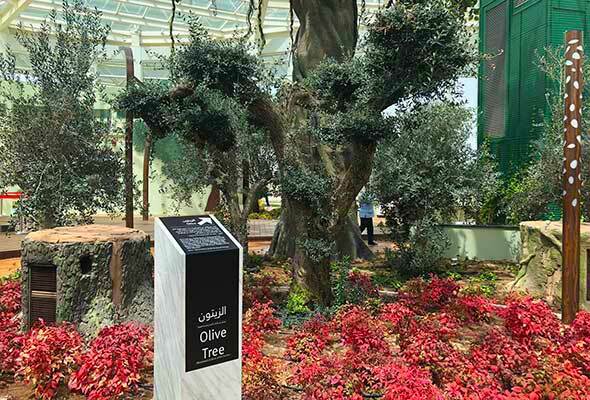 One of the two main attractions at the Quranic Park, The Glass House is home to 29 different plants and trees that are mentioned in the Quran and The Sunnah (the Arabic word for tradition, for Muslims, it means “the way of the Prophet“). You can expect to find plants such as olive tree, fig, black henna, oud, aloe vera and much more. Look for a list of plants just after you enter the Glass House to your left for a guide. Each plant is sectioned and marked with its name, some information about it, and if it’s mentioned in the Quran or/and The Sunnah. The plants are monitored and are kept watered through nozzles hidden in bronze poles that spray out a mist of water at different intervals (depending on how much that particular plant requirements). The temperature is regulated with cool air by vents hidden in imitation tree trunks. Don’t forget to head up the observation deck for a top view of the area. If you’re feeling a little quenched, there’s a small food cart outside the Glass House that serves up soft drinks, fresh juices, and water. During the evenings they even serve up meals including shawarma and burgers. The Cave of Miracles is a man-made cave (it even has stalactites!) which depicts miracles revolving around the Prophets that occurred in the Holy Quran. Some of the miracles you can expect to see include Prophet Ibrahim’s (A.S) miracle in reviving the bird, Prophet Mosa’s (A.S) miracle of the Sea, Prophet Jesus/Issa’s (A.S) miracle of creating a bird out of clay and more. 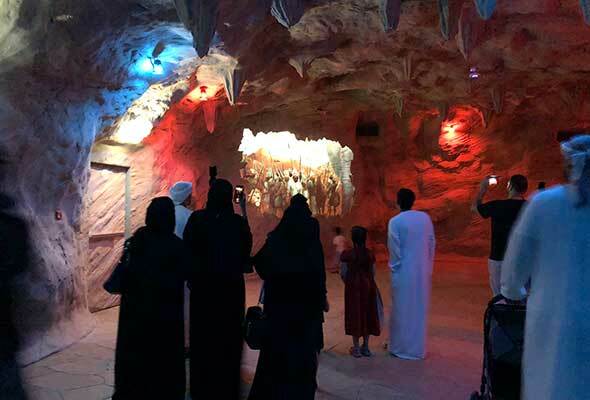 As you enter the cave, you gather alongside other visitors to watch an introductory video clip of the Quran and then make your way to the first miracle clip viewing. The video displays are at different areas of the cave, but a guide sticks by you and informs you when it’s time to move on to the next section. Don’t worry about getting lost either, as the cave only follows one path. The walls of the cave even provide you with seating without impairing the look of the cave, so you can sit back and relax while you watch the miracles unfold in front of you. The audio that accompanies the video is currently in Arabic and there are no English subtitles, but we were told that the audio would be made available in English by mid-April. Apart from the beautiful greenery in the Glass House, scattered throughout the park are flourishing plants, flowers and trees, and there are orchards as well. 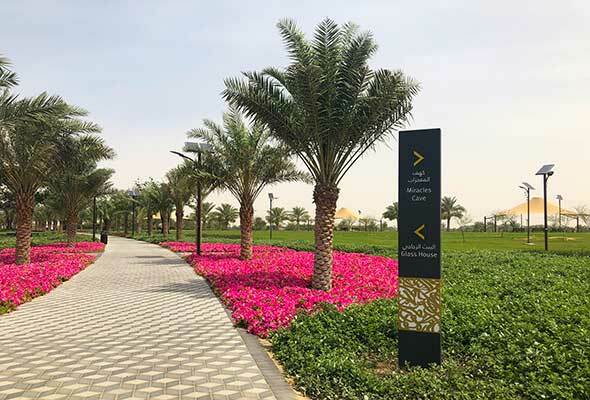 The orchards are located at various locations at the park but look out for signboards inlaid with golden Arabic calligraphy that will point you in the right direction. Keep your eyes peeled for more calligraphy on the solar panel trees that are on the pathway leading up to the Glass House. The trees serve as benches that provide you shade and the solar panels located on the top serve to charge your phone as well. 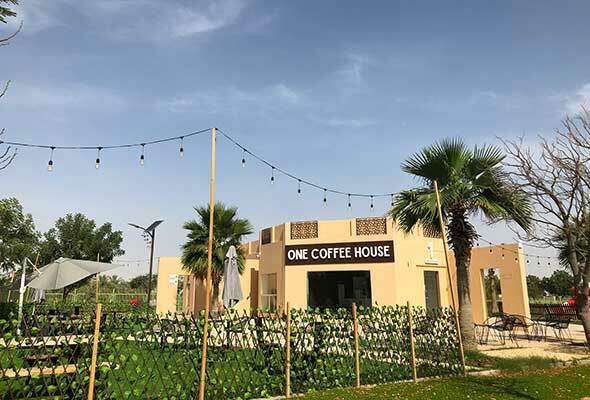 At one corner of the park, you will find One Coffee House, a quaint cafe with friendly staff serving up coffee, chocolates, and desserts. Located right next to the café is a small playground for the little ones, so they can be kept busy while you fuel up. 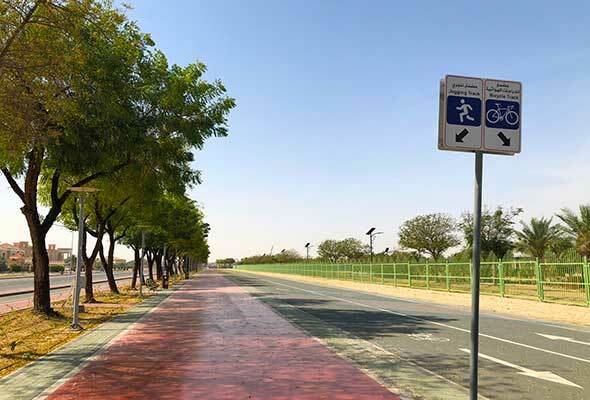 Outlining the park is also rubber jogging track and cycling path that also features some gym equipment that’s free to use. 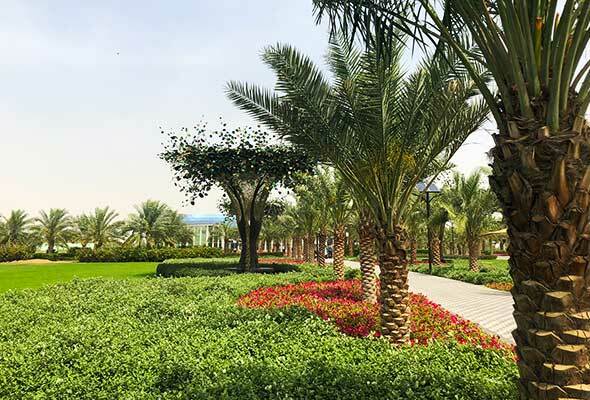 The Quranic Park is located at Al Khawaneej, close to Mushrif Park and is opened from 8am to 10pm. There’s plenty of parking available though it could get busy on the weekends. Entry to the park is free, but a ticket fee of Dhs5 is required to enter the Glass House and The Cave of Miracles. You can use your Nol card to pay for the ticket and there’s even a Nol card recharge station is located right outside the entrance of the Cave of Miracles. 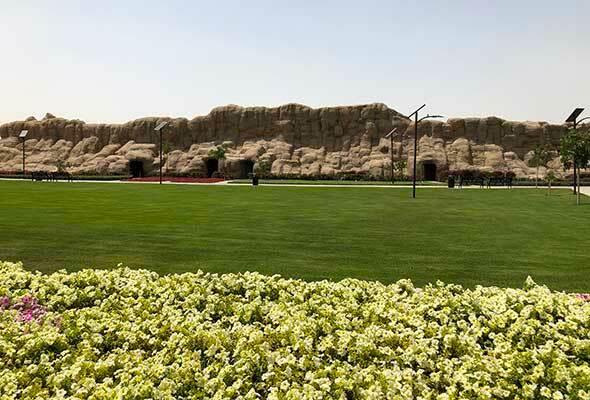 Quranic Park, Al Khawaneej, close to Mushrif Park in Dubai, 8am to 10pm daily, Dhs5 to enter the attractions.